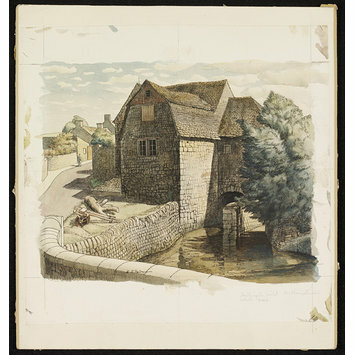 Watercolour view of a mill in the hamlet of Duddington. 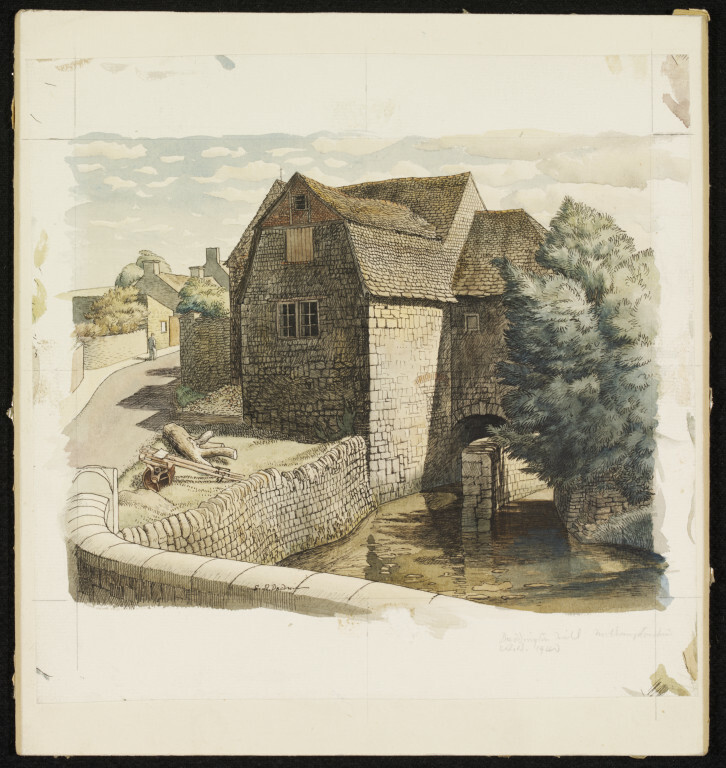 The stone building arches over a bend in the river; signed. The Mill, Duddington (Recording Britain, Northamptonshire). Palmer, Arnold, ed. Recording Britain. London: Oxford University Press, 1946-49. Vol 2: Essex, Suffolk, Cambridgeshire and Huntingdonshire, Northhamptonshire and Rutlandshire, Norfolk, Yorkshire. Introduction to Northamptonshire and Rutlandshire, p.109. Palmer, Arnold, ed. Recording Britain. London: Oxford University Press, 1946-49. Vol 2: Essex, Suffolk, Cambridgeshire and Huntingdonshire, Northhamptonshire and Rutlandshire, Norfolk, Yorkshire. pp.134-135, illus.